Claire Breay & Julian Harrison, eds. 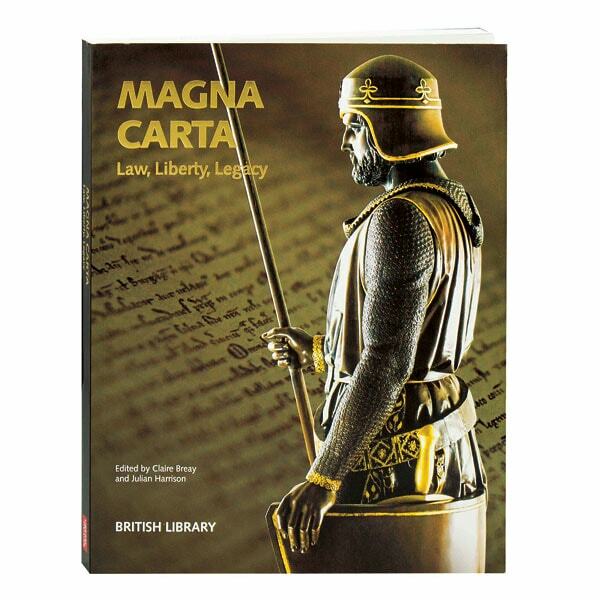 When it was granted by King John in 1215, Magna Carta was a practical solution to a political crisis; in the centuries since, it has become a potent symbol of liberty and the rule of law. This exhibition catalogue for the British Library's 800th anniversary celebration of the charter takes us on a journey from the medieval era to the American Revolution, and from World War II through the world of today. Culled from the library's holdings, the dozens of photos here depict two original copies of the document, Thomas Jefferson's handwritten draft of the Declaration of Independence, and a draft of the Bill of Rights, as well as paintings, engravings, and pop culture artifacts inspired by Magna Carta.